Eckersley O'Callaghan, the structural designers behind Apple's glassy architecture, are being hailed for their remarkable engineering. Every year, the world’s largest structural engineering association chooses the most innovative engineering in the world as part of the Structural Awards 2018. 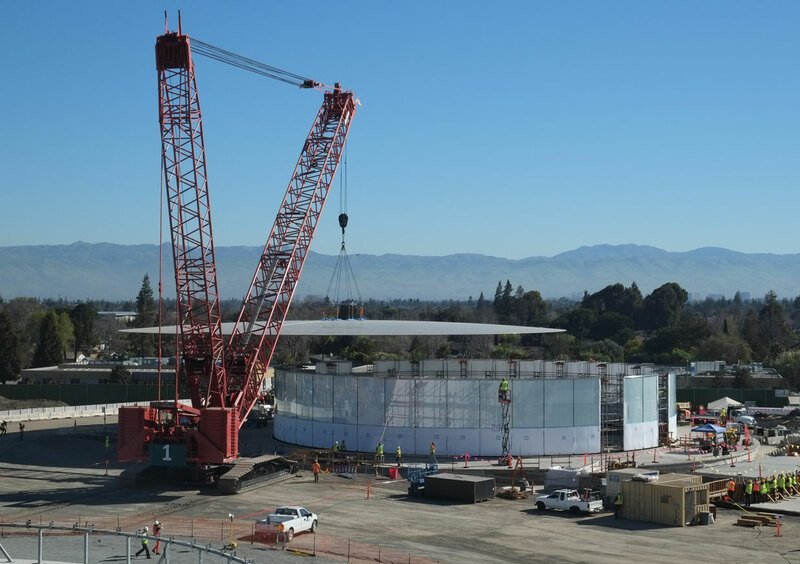 The awards’ shortlist is always a fascinating glimpse into cutting-edge of structural engineering, and this year it includes two Apple projects: The Steve Jobs Theater Pavilion – which rises next to Apple’s new headquarters to host the company’s famous keynotes – and the company’s new flagship store on Michigan Avenue in Chicago. When it comes to structural engineering, Apple’s intensive focus on details has serious benefits. The group behind the new shortlist describes the theater pavilion as the “culmination” of advances in structural glass, and credits it to Apple’s close relationship with Eckersley O'Callaghan, the London-based structural designers who specialize in glass.